Why Don’t We To Perform At 2019 Fair! Home › Latest News › Why Don’t We To Perform At 2019 Fair! 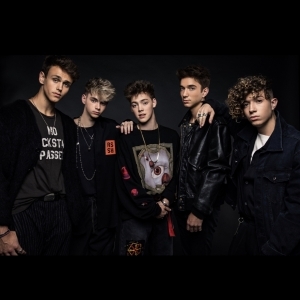 (PASO ROBLES, CA) – The California Mid-State Fair is pleased to announce that superstar boy band Why Don’t We has been confirmed to perform in concert on Monday, July 22 at 7:30 pm. An opening act will be announced at a later date. Why Don’t We’s concert will take place in the Chumash Grandstand Arena at the Paso Robles Event Center. This is the band’s first-ever performance at the California Mid-State Fair. Ticket prices for the show are $26, $41, $51, and $71 and will go on sale Friday, February 22, 2019. Tickets will be available starting at 10:00 am online at www.MidStateFair.com or by calling 1-800-909-FAIR (3247), and at 1:00 pm at the California Mid-State Fair box office located at 2198 Riverside Avenue in Paso Robles. Since forming in September 2016, the members of rising dance-pop group Why Don’t We have enjoyed several moments they describe as “surreal,” including hearing their current single, “Something Different,” on Los Angeles’ influential radio station KIIS FM for the first time, watching their latest EP, Why Don’t We Just, hit No.1 on the iTunes Pop chart (besting albums by Harry Styles, Ed Sheeran, and Bruno Mars), and learning that their summer headlining tour sold out.